Not all coconut waters are created equal. C2O has taken extra care to select & pack what they believe to be the best tasting coconut water in the world. 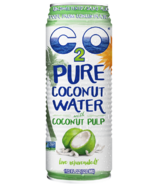 100% pure C2O is from young green coconuts from an especially fragrant & tasty variety that are unique to the inland soils of Thailand. These coconuts are a fresh water variety that yield a more delightful taste than the salty flavor that accompanies more commonly coastal coconuts. 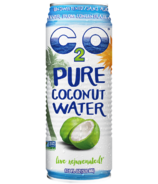 All C2O coconut water is packed fresh, with each batch flavor tasted before being packed to ensure every can has the signature flavor and quality that makes C2O so popular among coconut water lovers.